By the mid '90s, Sue Bradford was firmly committed to a new project. This was "People's Network", the culmination of her earlier "Building Our Own Futures" project. Established in late 1994, the People's Network linked a wide range of individuals and groups from all over the country and published a regular magazine "Common Ground". Organisations or campaigns linked to the People's Network included, the Aotearoa Network of Unemployed and Beneficiaries, the Aotearoa Youth Network, Wellington People's Resource Centre, Christchurch Beneficiaries Advisory Service, Waimakiriri Women's Collective, Whangarei's 155 Community Centre, the Activism in Aotearoa training camps, NZUSA, Radical Society, the Organisation for Marxist Unity, Street Art Aotearoa, Manawatu Popular Theatre Group, Pakeha Treaty Action, Next Step Democracy Movement, the Waihopai Spy Base protests, Wellington Consumer Health Forum, Child Poverty Action Group, the catholic peace group, Pax Christi, Universal Basic Income campaign, East Timor Independence Committee, Campaign Against Foreign Control of Aotearoa, elements of the Green Party, Trade Union Federation, Aotearoa Non Governmental Organisations Association, COMMACT, the priests and nuns from the National Network of Sisters and Brothers for Justice, the Motua Gardens campaign, Network Waitangi, Gattwatch, the anti ACT group, CounterACT, Auckland Eco Village Group, Engineers for Social Responsibility, the Maori students group, Te Kawau Maro, Coalition for Public Health, Dunedin Community Coalition, Dunedin Jobs With Justice Campaign, Asia Pacific Workers Solidarity Links, Kotare Education Trust, CHOGM Action Coalition and Auckland People's Centre-to name a few. Clearly, the People's Network functioned to integrate socialist activity all over NZ. Its orientation was certainly Marxist and Sue Bradford played a leading role. The People's Network endured until at least 1998. At this time, Sue Bradford rejoined the Green Party after its split from the Alliance. Many of her comrades from the People's Network and Auckland People's Centre went with her. Bradford made a bid for Auckland mayoralty, that year, collecting nearly 4000 votes. The move was strategic. 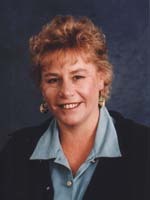 In 1999, Sue Bradford was placed forth on the Green Party list and was elected to parliament. Even then, the protesting did not stop and in September 2000, she traveled to Melbourne to protest against the World Economic Forum meeting. On March 3rd 2001, Bradford spoke at the "Globalisation or Localisation" conference in Wellington. I quote an email about the conference from Bruce Dyer of the Proutist organisation. Subject: Report on Globalisation conference...."Globalisation or Localisation - reclaiming the economy for the community"
conference held at Tapu Te Ranga marae, Wellington 3rd March 2001. "150 people representing more than 40 NGOs attended the Saturday conference. Edward Goldsmith; director of the International Forum on Globalisation, and Sue Bradford long time activist and a Green MP, began with a strong attack on the phenomenon of economic globalisation. Their presentations espoused a positive note which was reflected in Sue declaring her "heartfelt belief that what we are sharing in here is possibly the beginnings of the next true Internationale, one which has the hope of achieving world-wide revolutionary change without going backwards into feudalism or totalitarianism." (The Internationale, refers to the body of Communist Party representatives who met annually in the early years of the last century to try to realise their dream of a world without exploitation or poverty.) Sue claimed the people's right for "honourable dissent" against exploitation...."
Trevor... yes, there are many Scoialists out there. Communists too. Why do you feel the need to chronicle the fact? I think it'd be more productive if you challened your energy in Act and into expressing why liberal ideas are better than socialist ones. All your long posts on peoples' backgrounds must take up a lot of time that could be better spent. Do you think that you're 'exposing' their background and people will think differently about them? We all know what they stand for... focus on discrediting the idea. Absolutely. Keep 'em coming Trevor! CounterACT, I remember them! Whatever happened to that group? I enjoy learning how radical major elements of the Green are; keep them coming! i think CounterACT faded into obscurity a while back as the act party are no longer seen as a real threat to the left. Love it when the "Left" accuse us of playing the man rather than the ball.....love it!!!!! I played a large part in forming the Auckland University ACT on Campus branch. Sue Bradford launched CounterACT so we did a midnight poster run launching Anti-Counter ACT. Come Monday morning the commie fuckers took it so seriously they called a meeting to discuss tactics on how they were going to deal with our group, which was supposedly countering their right to free speech. The argument was circularly intriguing.